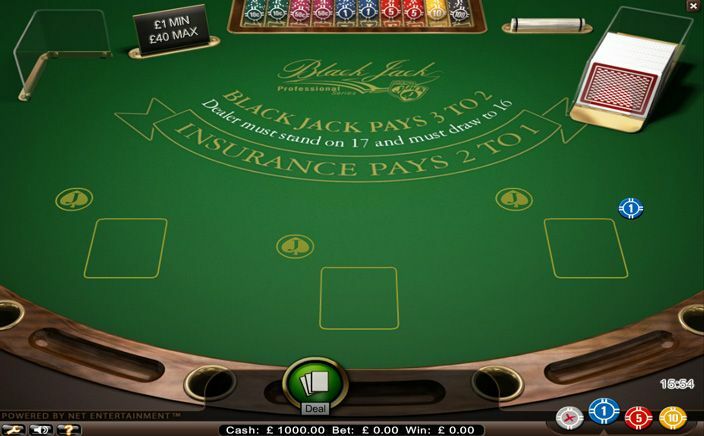 Blackjack is one of the most popular casino games preferred mostly by professional gamblers. There are many variations of this game online too. 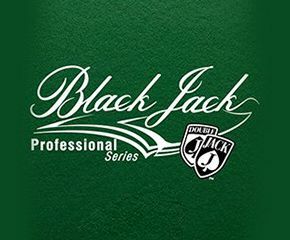 But nothing beats Blackjack Professional that offers high-quality gaming experience. So this game is clearly to those who prefer playing in a professional atmosphere. There is a jazz music that plays in the background that gives you a feel of a real world casino. There are four decks of fifty-two cards each that are shuffled after each game. To place your bets, you can choose from chips with values £1, £5 and £10. The minimum is £1 and maximum you can bet is £40. This wonderful new Blackjack with professional setup was created by NetEnt, a name that hundreds of online casinos trust because of their high-quality games and reputation that they have earned over the last 20 years. Their games allow users to play using various mobile devices as well. Blackjack Professional is played with three individual hands, however, it is up to you how many hands you want to play. To win each hand, you must defeat the dealer by scoring more points than him without crossing 21. The dealer must stand at 17, which gives you an advantage over him. If you or the dealer exceeds twenty-one, it results in the loss. If you lose, you can still play the remaining hands. But if the dealer loses, you get to win all three hands instantly. There are options such as split, insurance and double that you can use in specific scenarios too. Insurance: You can buy this in order to prevent a loss should the dealer get a blackjack hand. Hence this feature is available only when the dealer’s first card is an ace, as the chanced of Blackjack is highly likely. Side Bet: The double jack is the side bet game of Blackjack Professional that helps you win better rewards. If your first card is a jack, you will win ten times your betting amount. A pair of jack gets you 25 times on your bet while the twin spade Jack gives a whopping 100 times. So you can win £4000 if you win this with a bet amount of £40. With an impressive side game and multiple hands to help you win big and better, Blackjack Professional is the best variant ever. The RTP of 98% helps you make high profits.